New School-Year Thoughts – Y is For Home! Homeschooling is one of my favorite aspects of our lifestyle. It’s such a fantastic and intimate way to nurture the faith and intellectual-lives of my children, such a fun way to get to know them as people – and all the magical, hidden, mazes of their minds and thoughts. I adore homeschooling. Ilya is a little young for anything official..ok, a lot young, actually, but he wants to be a part of the schooling because he adores Yarrow, and fortunately, our style of schooling is very inclusive. Lots of reading aloud, lots of walks in the woods, good music, drawing, painting, and prayers. I can spend a bit of one on one time with him reading some of his favorite books while Yarrow works on her math and copywork, and he can learn the art of ‘listening attentively’ while Yarrow tells me back some of what we’ve read. We’re starting the new school year officially yesterday! Yarrow has been doing prep levels and, while a lot of her prep-work has taken her through most of the first level of our curriculum, we’re sticking with that level for the fall, to make sure she’s got it all before adding in aspects of the second level. We change it up quite a bit, but the themes are the same. What does schooling look like for you all? I would love to know how you decided what sort of schooling fits your family, and why! What do you love about it, and what’s a bit more challenging? Because, as ideal as it is, homeschooling deep in the woods with the crickets and crows, homeschooling has some challenges too. I am always struggling to build a structured, intentional daily life, some days are less so than others, and some days don’t even come close to the sort of daily life I’m intending! 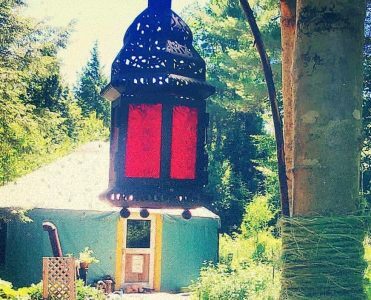 And space gets limited as the seasons change, winter homeschooling is cozy in the yurt, but books and papers pile up quickly!